CANADA: Canadian firm Axys Technologies has bought 100% of shares in Belgium-based Flidar for an undisclosed fee. Both companies are active in the offshore wind measurement industry by providing floating lidar (light detection and ranging) units for measuring wind resources. Axys entered the sector in 2009 with its WindSentinel floating lidar units for measuring wind resources. Flidar was set up as a joint venture between advisory firm 3E and construction company Offshore Wind Assistance (part of the Deme group) in 2009. "By combining the strengths of both companies, this alliance will enable current and future clients to benefit from a deeper expertise in wind resource data collection, a wider offering of offshore measurement solutions, and an agile service team able to cover projects globally," said Axys CEO Terry Tarle. Axys said it would centralise its European operations at Flidar's Belgian office. 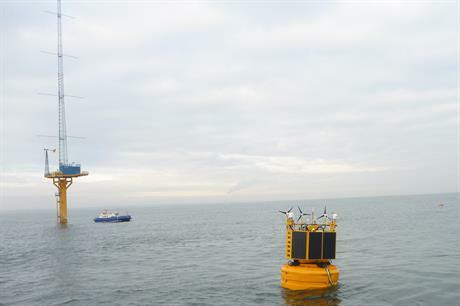 In September 2014, DNV GL validated Flidar's floating measurment unit following a three-month deployment at Mainstream Renewable's 450MW Neart na Gaoithe project off the east coast of Scotland. The independent validation by DNV GL meant Flidar could move forward to stage 2 (pre-commercial) of the Carbon Trust's offshore wind accelerator roadmap, which plans the progression of technology to be commercially accepted as an industry standard. In March 2015, Axys Technologies was contracted to deploy two floating Lidar systems with dual sensors at the Offshore Renewable Energy's (ORE) Catapult test site in UK North Sea waters. The company said it would be the first time a floating Lidar systems with two sensors have been deployed at an offshore site. Floating lidars have the potential to signifcantly cut costs of wind projects compared to traditional met masts.